The Watch List wasn’t published last week, as I was on a bye. I figured if they are good enough for NFL players, I too could slide one in there. It was another long week of of action, as we began on Thursday night. One thing we haven’t been short on this season…injuries. Key players this week Maurice Jones-Drew, Fred Davis, Shonn Greene, Ben Tate and Blaine Gabbert. To go along with the injuries, we did have a few surprise performances as well during week 7 that could have owners running to the wire. We are now 7 weeks into the NFL and looking at the mid season point of the season. One thing I have noticed is talent starts to thin out the deeper we get into the season. 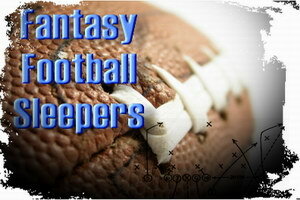 During the draft, some owners (bench allowing) will draft depth in the form of sleepers. Even then some of those players could become possible drop candidates if early season injuries pop right. With that said, here is the watch list as we go into week 8 of the NFL. Skelton returns to the helm in Arizona, as Kolb exited stage left last week due to injury. This could be the opening Skelton needs to win the starting job for the rest of the season. Unfortunately he couldn’t put a ‘W’ on the board for the Cardinals, but was effective through the air. Arizona home to SF in week 8. Speaking of being health, “Apostrophe” is one of the few RBs in Arizona that is healthy. Going into the game vs MIN, it was expected that Powell and Stephens-Howing would split carries, but that was not the case. The 104 yards was a career high and came against a good MIN defense. He might have won the starting job, but faces a tough task vs SF in week 7. Not an overly impressive game for Jennings coming in relief of MJD who left with a undetermined foot injury. He combined for 102 yards, but the 2.1 YPC isn’t good. Jennings will become the starter week 8 at Green Bay, he is a must add. I’ve gone back and forth on Dwyer the past few weeks, but he is one of he healthy back in PIT right now. With Mendenhall and Redman still injured Dwyer finally exploded on Sunday for 122 yards (7.2 YPC)! Look for him to remain the starter in week 8 against WAS. With the injury to Fred Davis, the wide receivers could end up playing a bigger role in the upcoming weeks. Still only 4 targets on the week, wasn’t the top targeted WR (Hankerson). Still if you are looking for a BYE week cover you might look at WAS match up and start Moss on a game by game basis. Week 8 has WAS in PIT. With Garcon still inactive, Hankerson and Moss end up being the starters for WAS. Hankerson was the top targeted WR on Sunday with 8 targets. Hankerson hasn’t been all too consistent, could be a flex option vs PIT in week 8. After a few down weeks, Bennett posted his best yardage of the year, 79 yards. Still one of the better options to own at the TE position, as he posted 70+ yards times this season along with 3 TDs. Bennett has a good match up against DAL, which he scored on back in week 1. Before I get to the 2012 Watch List #2 I need to make an early observation, based off comments I read this week. Have patience with your team, I don’t buy into the hype of a player emerging to the forefront of a week after only one game. While that player’s performance will probably get them noticed on ESPN and the highlight reel, it will also get their name on the watch list. But does that mean I subscribe to the idea of immediately claiming that player off the wire or through free agency? No, I don’t. If any player who makes this list is available, I would pick them up only if they improved my team. I would not pick them to potentially trade them or as depth if I have to drop another player who could impact any given position. With that said, here is the watch list as we go into week 2 of the NFL. Another stellar performance by a rookie QB in his first game. Bob3 led the underdog Redskins past New Orleans, 40-32. He was 8-8 before tossing his first incomplete pass, later connecting with Garcon on an 88 yard TD. He also added 42 yards on the ground, making him a double threat on Sunday. Numbers not as strong as what we saw in the preseason, partially due to the fact he was limited on the ground by the Arizona defense. Could have made a better showing if he could have driven his team in for the winning TD when on the Arizona 4 yard line. The secret of the week, thanks to Shanny was Morris who the Redskins on the ground and was the best performing RB when compared to Helu and Royster. Take that for what it’s worth, when you are a RB in Washington you just don’t know what Shanny will do. Can’t argue with 28 carries, but the 3.4 YPC is a bit worrisome. Kansas City uses McCluster like New Orleans uses Sproles. His contribution was seen in the second half as he became the go to player for Cassel. His totals could be a bit inflated due to the fact KC was trailing and trying to come back from such a deficit. With Mendenhall still sidelined, Dwyer and Redman split the carries, but it was Dwyer who looked the better options averaging 4.8 YPC. His performance could lead to a larger part of the RBBC in Pittsburgh. As a WR3, he took advantage of the lack of coverage and the double teams of Bryant and Austin to be the top WR for Dallas opening night. Ogletree was targeted 14 times and caught 8-114-2 TD. Not buying the hype on him yet, he still is the third or fourth option (with a healthy Witten) in the Cowboys offense. Hill averaged 17.8 YPC in the rout of the Bills on Sunday. The rookie hauled in 2 TDs, both from Sanchez. A un-Jet like performance, based on the “ground and pound” strategy of Rex Ryan. Not sure if this is a new look Jets offense or just the Jets taking advantage of a soft Buffalo defense. Kerley scored twice in the game, on a 12-yard pass from Sanchez, followed by a 68-yard punt return in the second quarter. Not sure there is much fantasy value here, just a young player making the most of his opportunities. With Keller, Holmes and possibly Hill as better options Kerley might not have much fantasy impact at this time. Who’s hot on the Packers this week? Jones, who I suspect went undrafted in many leagues with the emergence of Jordy Nelson. Jones held without a caught the first half exploded in the second as he became Rodgers top target, hauling in 4 catches including a 10-yard TD catch. He averaged 20.3 YPC on Sunday. Jeffery could be one of the more consistent players this season with the addition of Brandon Marshall to the Bears. Teams willing to double team Marshall will put the rookie in lighter coverage, which could be an advantage for Jay Cutler. He was still way behind Marshall in targets (15). While Indy still lost their opening, the chemistry looked good between Luck and Fleener. Targeted 10 times, second to Reggie Wayne (18), Fleener made the most of his receptions including a long for 24 yard. Indy will be playing from behind much of this year, Fleener could represent a good candidate to keep your eye on. Lewis looking to bounce back this year (0 TDs in 2011) started off the year strong catching ever pass that came his way on Sunday. He was Gabbert’s top target on Sunday, which rewarded him with a 1 yard TD in the second quarter. With young Gabbert at QB, Lewis could return to his 2010 form.